Adapting your beauty routine and wardrobe for cold weather is no easy feat, but this lady knows how to handle the snow. Demi Lovato used “nose tampons” to plug her runny nose because clearly, she’s got dealing with freezing temps on-lock. I’m a fan of any She’s The Man reference, so this winter hack is a win in my book. And besides, runny noses really are the worst. She posted a picture of her clogged nose to Instagram with the caption, “When you snow mobile with a cold… Nose tampons from @DevonneByDemi coming soon….” I’m assuming these nose tampons won’t really be coming to her own skincare line, but honestly, it’s not all that bad of an idea. She may only be kidding about selling this runny nose product to the masses, but there are plenty of other ways that you can cop her winter style, you know, for real. From snuggling in bed with her puppy to rocking a jacket with a furry hood, Lovato’s got the right idea when it comes to dressing for the cold. Check out how she handled her most recent romp in the snow as well as seven times she’s been completely winter-ready. She's got this, you guys. She's completely prepared for cold in this hooded jacket. A cute Christmas sweater will keep you cozy. Take it from Lovato. 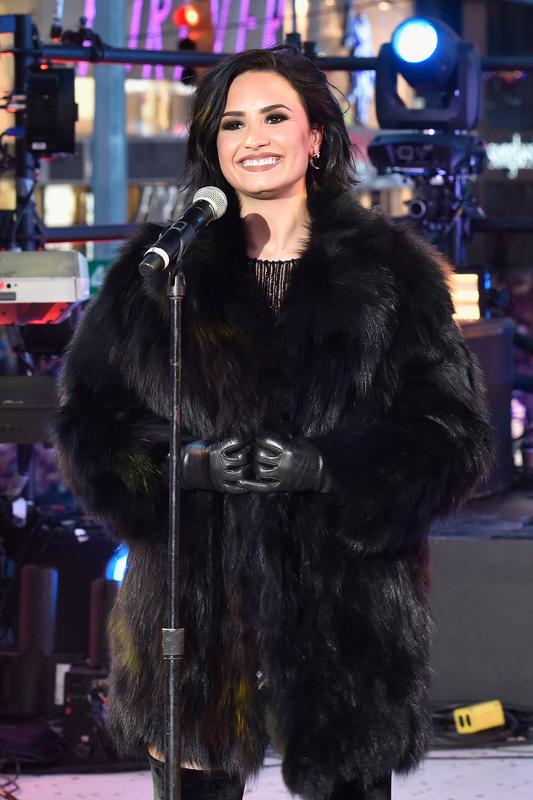 It may have been chilly, but Lovato was keeping warm in a fur coat and gloves. Staying in bed all day will definitely keep you feeling the heat this winter. Coffee and a hoodie is the perfect way to combat the cold. Adding a cape to your ensemble is a great layering technique. A thick scarf is great for bundling up. Copy these Lovato cold weather-dressing styles, and winter will have nothing on you!